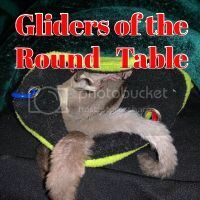 Register Log In GliderCENTRAL Forums Housing & Accessories Are costumes safe? Ok so I watched a YTer called 'SlightlyHy' and he was creating costumes for his glider. I'm SUPER tempted to make some but of course I have to do some digging on this. Are costumes safe? Just for taking pictures, not all the time. Also, does anyone have any suggestions for items and themes? I just got really cool mini angel wings for Luna but how should I attach it?? Make a tiny vest out of something pretty, and use a Velcro closure. Again, great for pics only.